The metropolitan city Copenhagen is compact, safe, vibrant, eco-friendly and efficient. It’s the capital city in Denmark, built on respect for the past, but focused on the future. 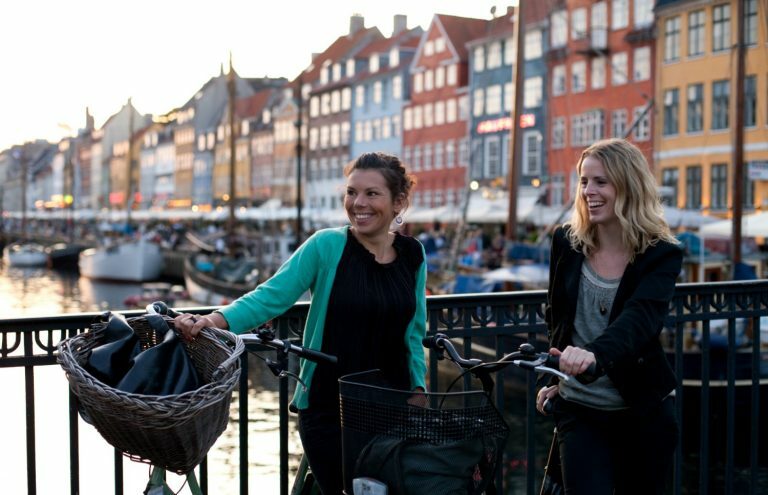 Copenhagen has repeatedly been named ‘World’s Most Liveable City’ and the Danes have been ranked World’s Happiest People over and over again. The Copenhageners have an easy-going and relaxed approach to life – but don’t be fooled. Behind the relaxed facade lies a steely professionalism and a high awareness of quality. According to the U.N., the Danish workforce is among the world’s most productive. 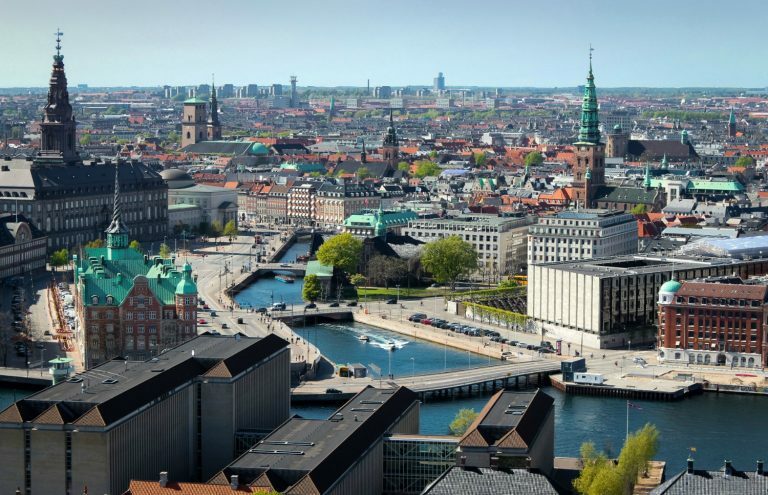 Copenhagen has been in the top 20 on both ICCA’s and UIA’s list of the world’s most popular convention cities for decades. In recent years, Copenhagen’s range of hotels has grown exponentially and today the city offers more than 22.000 hotel rooms. 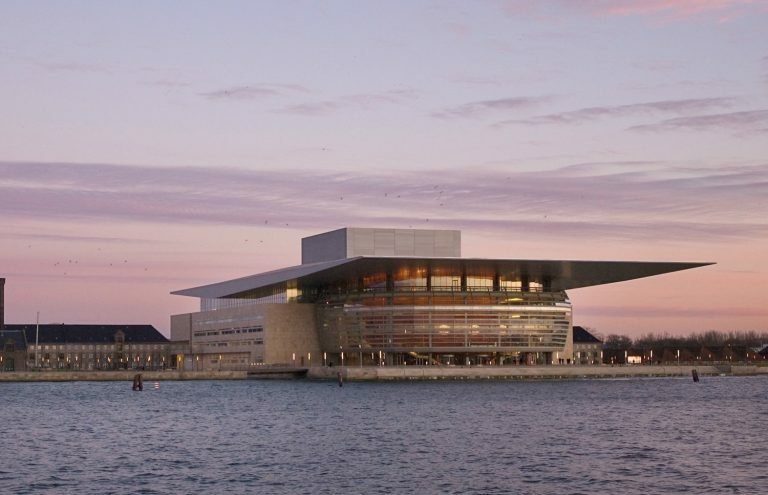 Copenhagen also offer a wide selection of modern meeting facilities, culture, sights and activities. Copenhagen Airport is Scandinavia’s main traffic hub with non-stop flights from around 160 international destinations. And, once you’ve landed, the city centre is only 13 minutes away by Metro or train. The city itself is compact and it’s safe – and easy to walk around – or do like the locals and grab a bike! 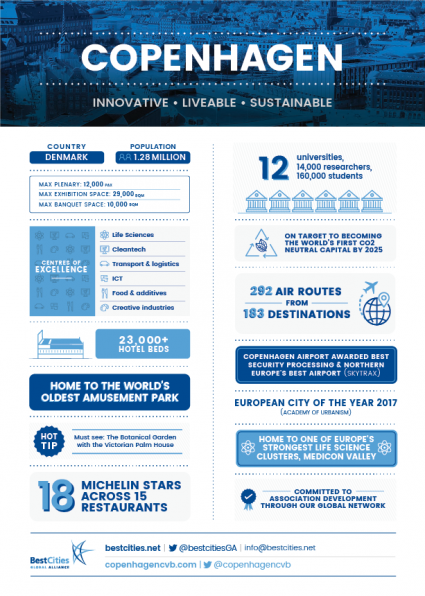 Copenhagen is located in a major knowledge area with 10 universities, 165,000 students and 16,000 scientist and researchers. Due to compulsory free schooling and universities, Danes are among the world’s most educated people. This tradition for education has also had a positive impact on the meetings industry, which offers much more than merely logistical solutions. Copenhagen is a harbor city and in terms of cultural life and creative growth it’s flourishing any time of the year. Considering the city’s size, Copenhagen is packed with events and festivals of all genres; food, fashion, jazz, rock, ballet, art, design and sustainability. Danish cuisine has never been better or more creative. Copenhagen was awarded 20 Michelin stars in 2016 – more than any of our Scandinavian neighbors. The New Nordic Cuisine is based on fresh produce from local purveyors and the surrounding sea. The restaurant scene is sizzling and you’ll find exquisite food in all price ranges. Wonderful Copenhagen CVB is the official convention, event and tourism bureau of the Greater Copenhagen Area. As well as helping you to plan an exciting congress, it provides tourism services for your delegates. There are a wide variety of events taking place in Copenhagen throughout the year, from the annual Copenhagen Beer Festival and the Copenhagen Carnival to various music festivals such as the Copenhagen Jazz Festival. There is something there for everyone! 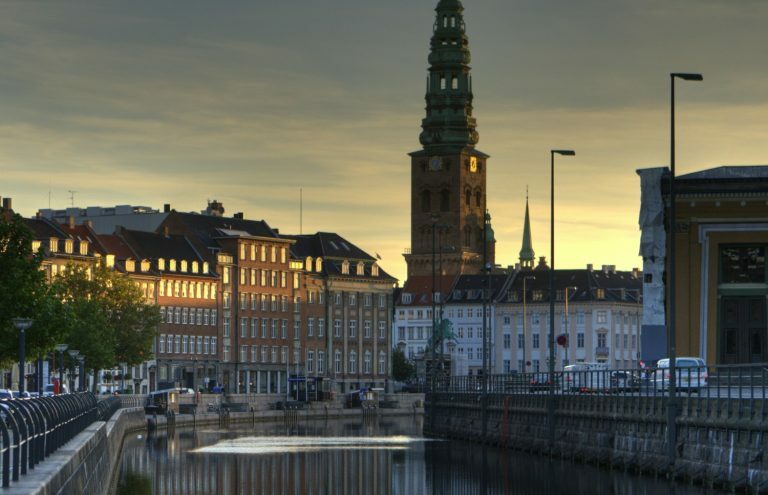 Find out more about events taking place in Copenhagen. Click here to download images of Copenhagen.